The incumbent Ukrainian president Petro Poroshenko has accepted a challenge to debate presidential candidate Volodymyr Zelensky following a social media campaign by the latter. 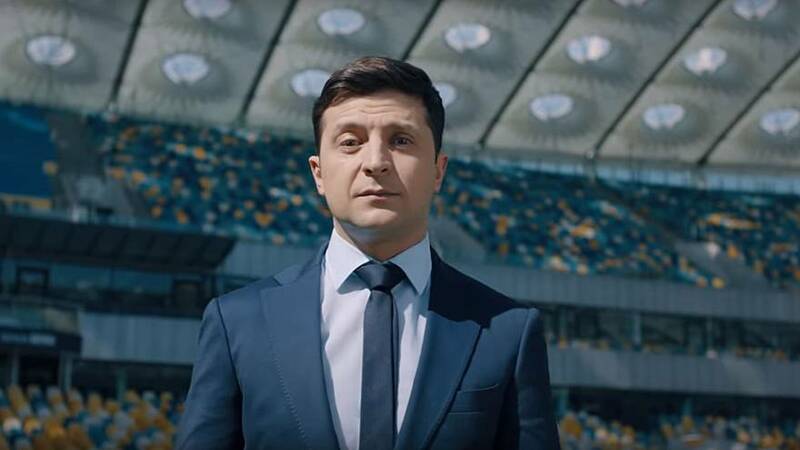 In a polished new video released Wednesday, comedian Zelensky, who has no political experience, challenged incumbent President Petro Poroshenko to a debate in the Olympic National Sports Complex in Kiev. Standing in a suit and tie in the middle of the empty stadium, the newcomer piled pressure on the current leader to accept his challenge, saying: “I give you 24 hours to decide. Think about it,” with a clock counting down on the Facebook page of his campaign. Poroshenko responded on Twitter in a more sombre tone, adding that election rules as outlined by the country's law states that presidential debates occur at Ukraine's TV public broadcasting station. "But if stadium, then stadium it is," said Poroshenko. On Thursday afternoon, the extraordinary news filtered through that the challenge was stepping up a gear with a rumoured drugs test. And sure enough, confirmation came from Poroshenko's election campaign Facebook account. "In preparation for the debate, Petro Poroshenko is waiting tomorrow at 9 o'clock in the morning for Vladimir Zelensky at the medical centre of the Olympic Stadium for the delivery of all necessary analyses, including for the use of alcohol and drugs," - said the spokesman at Poroshenko's election HQ, Oleg Medvedev. Whether the capacity of 70,050 will be filled remains to be seen, but the test has exacerbated the already media-ripe extravaganza. The drugs test will come first. The debate, we have no precise time for. Zelensky, who plays a fictional president on TV, grabbed international headlines this week when he led with just over 30% of votes in Ukraine's presidential election on Sunday.